Shirley A. (nee Straight) Wozniak, of Fredonia, NY, age 91, died Tuesday August 7, 2018 at the Chautauqua Nursing and Rehabilitation Center with her loving family by her side. Shirley was predeceased by her husband of 73 years Frank Wozniak, as well as her parents Maurice “Jack” and Theresa (nee Awald) Straight and infant sister Nancy. Shirley is survived by: her brother David (Patricia) Straight, of Fredonia, NY; niece Lauri (Eric) Zebracki, of Fredonia, NY, Jody Scott (Frank Jusko) of Williamsport, PA, and Andy (Cathi) Straight of Cassadaga, NY, and several other nieces and nephews out of town; great-aunt of: Meredith Zebracki, of Fredonia, NY, Sam Scott, of Williamsport, PA and Tyler Grisanti of Forestville, NY. Shirley was born in Dunkirk, NY on September 28, 1926. She graduated from Fredonia High School. She then attended and graduated from Albright Buffalo Fine Arts Academy. Shirley married the one and only love of her life, Frank Wozniak, on April 17, 1944, and enjoyed 73 years of marriage. They resided in Syracuse, New York. Shirley assisted her husband in the Physician Supply business and was an exemplary homemaker. 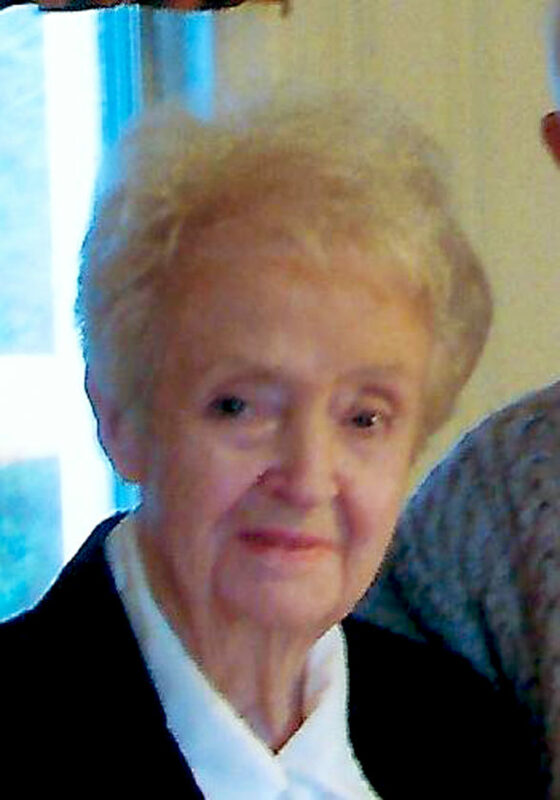 She enjoyed entertaining friends and traveled extensively. Upon Franks’s retirement, Frank and Shirley built a new home and returned to Fredonia, NY. Shirley and her family are forever grateful for the loving care and continued friendship of home caregivers: Cathy and Pat, and our “2A Family” at Chautauqua Nursing and Rehabilitation Center. Funeral services will be private and held at the convenience of the family. Memorial contributions in Shirley Wozniak’s memory may be made to Dunkirk-Fredonia Meals on Wheels (dfmealson wheels.org), 196 Newton Street, Suite 5, Fredonia, NY. Online condolences may be made at larsontimkofuneralhome.com. Arrangements by David J. Dengler, LARSON-TIMKO Funeral Home.